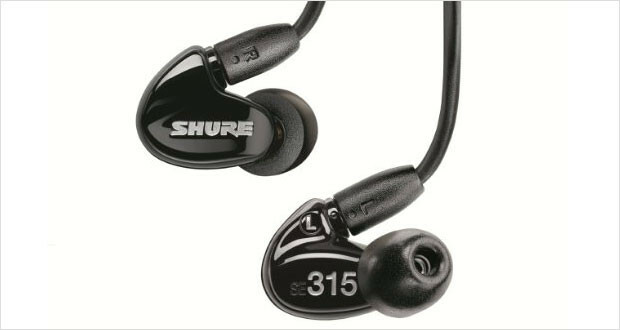 The Shure name has been around for upwards of 15 years and their customers have enjoyed the efforts of this company with a number of the best in ear headphones available in the market. This company makes the finest of the lot and is the industry standard for performing musicians. But do the Shure SE315-K headphones also take up the mantle of the best noise cancelling headphones? The company surely thinks that these are one of the finest in the mid-range market for headphones. The Shure design elements are quite present in these headphones with an ergonomic fit, a deluxe carrying case and all the other trappings of a premium pair of earbuds. But sound-wise, these are definitely not the premium gold standard. The rock sounds are muddy with the vocals going from stellar to nonexistent in a matter of seconds. The headphones sound like they can deliver initially, but fail to live up to the standard of their price. Rather than a bulbous teardrop shaped mold of the headphones like their predecessors, the Shure 315-K headphones sport a contoured mold that sits right outside the outer ears for better comfort and a more ergonomic fit. The detachable cable is quite tightly plugged in to the headphones and is not liable for any sort of wear and tear thanks to the Kevlar reinforcement. The earphones themselves are not exceptionally well built but they are sturdy enough. Dimensions2.2 x 6.2 x 7"
The build quality is fairly decent – the cable is Kevlar reinforced and not easily damaged while the earphones are themselves quite well encased in hard plastic. The Shure Fit Kit has plenty of options to ensure that you are most comfortable with the fit. However, the exact fit is determined by your ear size which differs from person to person. The high hats and treble in most electronic songs sound great – the tweeters perform well. Acoustic songs take a hit even though it is advertised as being good for these – the vocals are a little muddy. The bass response is fairly consistent, but compared to many earphones at a lower price bracket these are not the greatest. The sound isolation is phenomenal – if you get a good fit. If not it is liable to leak. The performance of these headphones is not what you would expect at the price range. Many lower-range headphones perform far better. The Shure SE315-K headphones are a pair of good looking and durable headphones. They adequately block out the external noise as well. But there are several headphones that are half as expensive as these that sound twice as better. If you have the money to spend, look elsewhere – these are not the pair of headphones you would want to buy.